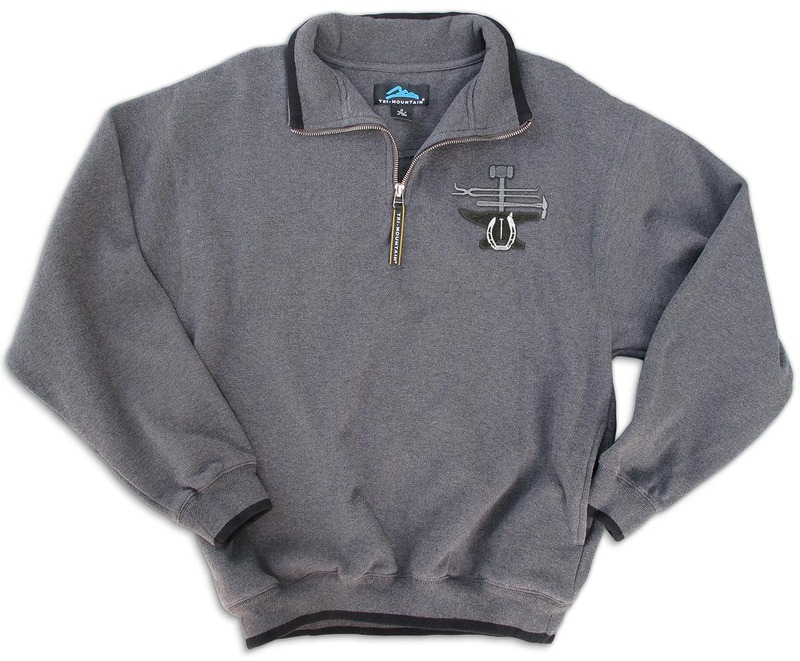 This super heavy quarter zip pullover looks sharp and is a hard worker. 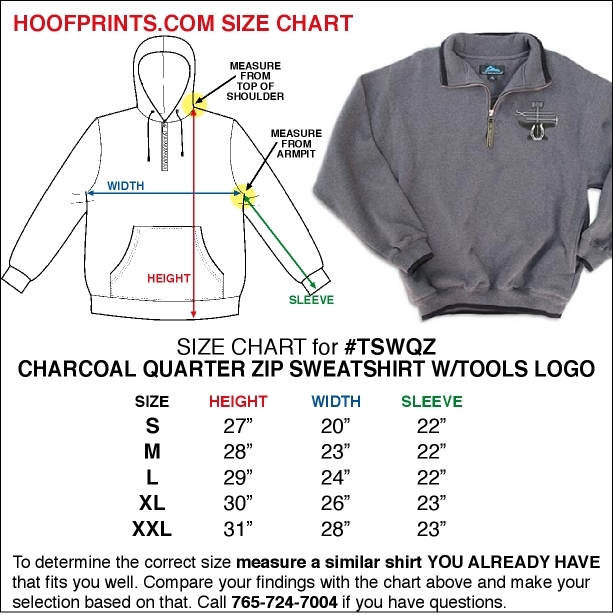 It's made of super heavyweight 12.5 oz 80% cotton/20% polyester fashion fleece. Choose Charcoal grey or Maroon with contrasting black trim on collar, cuffs and waistband and two side seam pockets, it's embroidered with HoofPrints own Tools of the Trade logo. These are generously sized; they shrink a bit with laundering. Machine wash with no special care - the example you see in this photo has been washed and dried on normal settings, and the collar and trim came out as nice and smooth as it was when it went in.